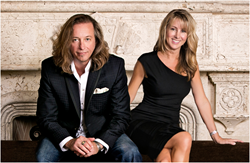 The award winning design firm, Beasley & Henley Interior Design, has upped the ante in luxury models. 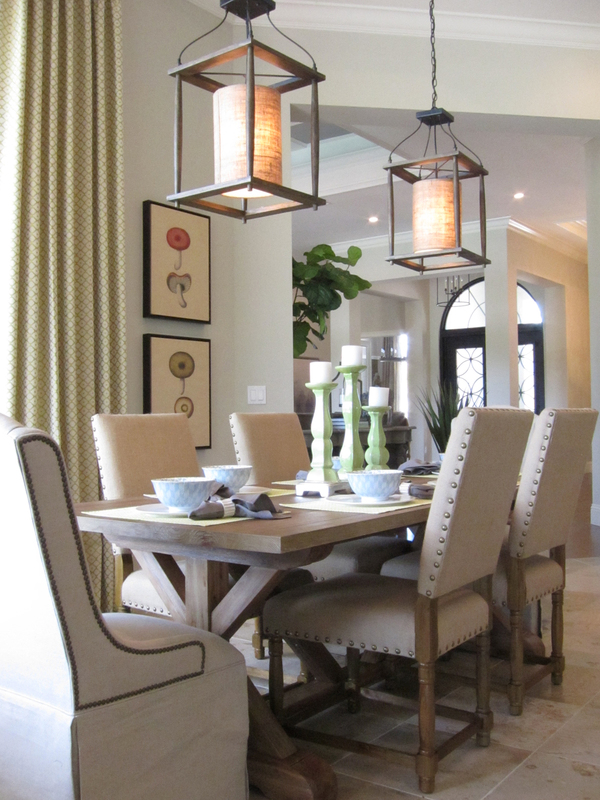 Beasley and the talented design team created a soothing ‘So-Cal’ interiors in this enticing Naples FL home. We like to shake things up! Beasley & Henley Interior Design always goes one step further. The award winning design firm has upped the ante in luxury models with their completion of the Chesterfield II. Design Principal Troy Beasley introduced a Southern California style to the Chesterfield II. Beasley and the talented Beasley & Henley design team, created a soothing ‘So-Cal’ color palette of creams and grays with splashes of burnished gold, aquamarine and touches of charcoal in this enticing Naples FL home. Built by Stock Signature Homes, the fully-furnished, designer model residence is located in Quail West's Tamworth neighborhood. The 4-bedroom, 4,239-square-foot home is priced at $1,911,279, with all furnishings and options. Beasley's sophisticated design begins in the columned foyer with a statement-making marble floor incorporating colorful aquamarine and terra-cotta mosaics, and a lantern chandelier overhead. A custom designed quatrefoil iron grille creates separation from the dining room. 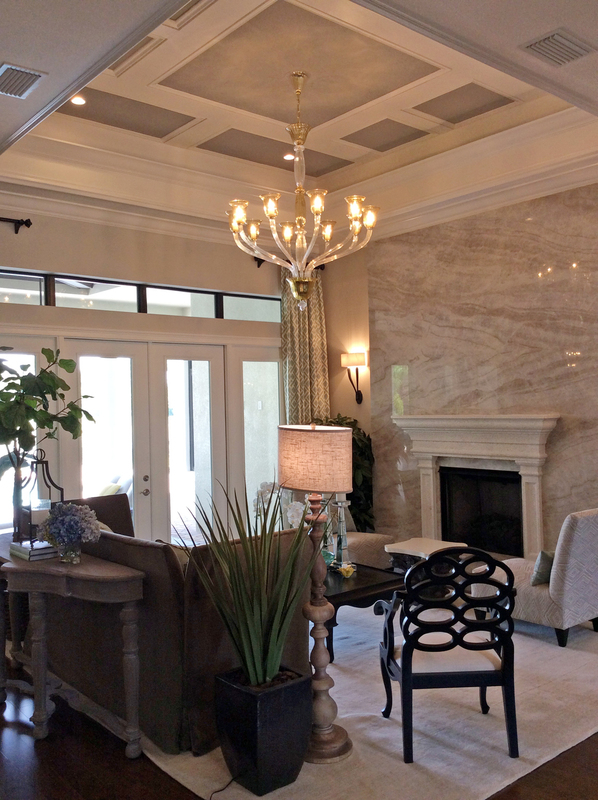 The grand living room is anchored by a dramatic fireplace with a marble and precast stone surround. A long, high-backed salon sofa works with the dramatic height of the room. A charcoal sofa console complements a modern coffee table with Fabio legs, and mirrored accessories. Light driftwood toned wood flooring is featured in the main living areas. The formal dining room features a recessed buffet with a mirror above reflecting the foyer's ironwork grille. A heavy round dining table contrasts with the window treatments that are presented in a soft, abstract magnolia leaf floral. Double doors open to a study showcasing built-in cabinetry in a dark finish with gray and aqua undertones. Striking artwork is displayed over a console with turnstile legs. A desk satisfies office functions, while a comfortable chaise by the window invites relaxation. Beasley designed the Chesterfield II's Southern California style kitchen, including the oversized island. The elaborate ceiling shows tongue-and-groove painted detailing between wood beams. Cabinetry is in gray tones while the countertops are creamy quartzite highlighted by light gray veining and hints of aqua. The matchstick pattern backsplash features hints of the aquamarine and terra-cotta tones tiles introduced in the foyer. The room's stone flooring creates an easy transition from the wood in the other rooms. The family room, open to the kitchen and breakfast nook, showcases a ceiling with extensive beam work interspersed with tongue-and-groove, painted in tones of cream and gray. Attractive molding is incorporated around the wet bar and then frames the charcoal grey TV built-in. A comfortable seating group includes two modern sofas and two easy chairs anchored by an overscale charcoal coffee table. A private hallway leads to the master bedroom with its spacious sitting area. Here, Beasley's color palette is soft and restful. Set against a backdrop of applied molding details, the bed features a tufted upholstered headboard in pale gray with linens incorporating light grays, creams and aquamarine. A rug softens the wood flooring underfoot while the coffered ceiling features beam and crown inlays. The sitting area accommodates two lounge chairs with a shared ottoman and demilune table. The windows are draped in a textured sheer fabric creating a cozy atmosphere topped by a crystal chandelier floating overhead. Beautiful marble inlays adorn the master bathroom floor. Set beneath double windows, a freestanding bath tub adds an air of sophistication while the shower is luxuriously sized for comfort. Wide, pocketing sliders open the family room to the extraordinary outdoor living area, popular in Florida and California. Beasley’s designed multiple outdoor gathering opportunities for easy entertaining including a seating group around a fireplace, a generous dining space, oversized bar in the outdoor kitchen, and separate area with chaises lounges and tables. This model is located in Quail West, the an award-winning community by Stock Development, east of Interstate 75, one mile south of Bonita Beach Road. Online at http://www.QuailWest.com. 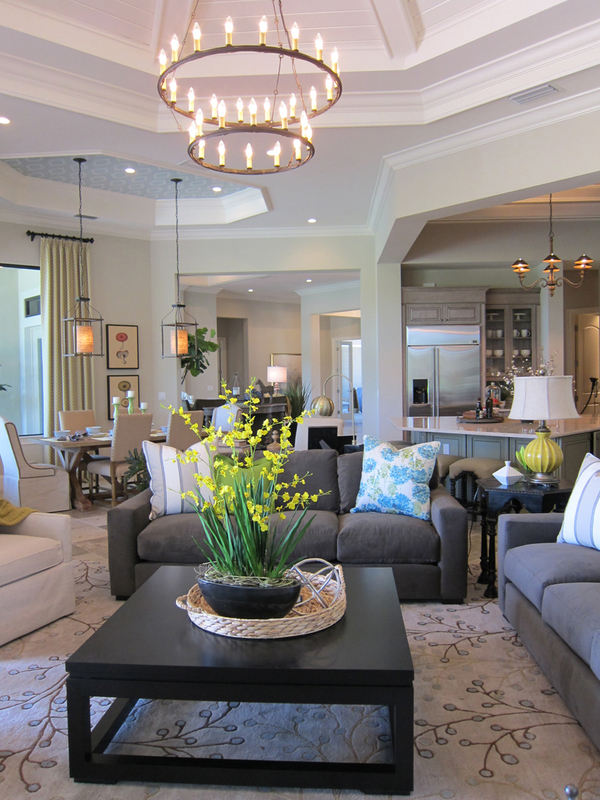 Beasley & Henley has luxury single family home models and condo models for viewing in Quail West, Lely Resort and Tiburon. As always, the talented Beasley & Henley Interior Design provided their client with all the interior design including the floor plan analysis, interior detailing, interior specification, ID drawings, outdoor living spaces and luxury furnishings. Thanks to Scripps Media, Caffrey and Associated and Naples Daily News.